A place for classroom teachers to be mindful ADVOCATES for education. Share your voice. Contributors welcome! 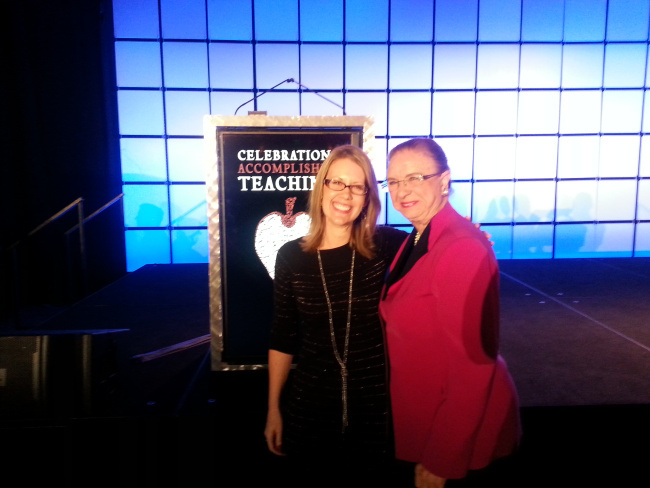 Here are some great comments from Beth Maloney, AZ Teacher of the Year 2014. I was really inspired by this speech, especially when she said: “Get your message out there because if you don’t tell your story, someone else will tell it for you.” Teachers, this is a powerful call to action. Get your stories out there! And if you are considering pursuing National Board Certification, I highly encourage you to begin the amazing journey! Welcome to the family! We are many, but we speak with a unified voice, especially when we say congratulations. You have elevated the credibility of our profession. Take the time to let this achievement land. There was a recent study that asked: What does the public want to see from their teachers? The 3 P’s: passion, professionalism, patience. You have dedicated yourself to those. And you proved you can follow directions really, really well. Is it possible to “win a class over”? Why do educators have students reflect on their behavior? Go Rogue: Apathy Isn’t Working! What About the Side Effects? Calm down! Take it easy!